Sample: Welcome to The Sample Order. Color Red and other colors. 1. SuitableÂ forÂ warehouse,factory,Â grocery,commercialÂ andÂ homeÂ usage. 2. Heavy duty loading up to 300kgs. 3. Foldable handle with assistant wheel to move easily. 4. PowderÂ coating or GalvanizedÂ surfaceÂ toÂ resistÂ rust. 5. Two pneumatic wheels convenience for operating. 6. Any color is available. 8. Sample is welcomed to test quality. 10. OEM is for your specific requirements and new products. Â Â Â World Link Corporation is an International enterprise with its headquarters in Taiwan, which founded in 1994 with registered capital of $2 million USD. 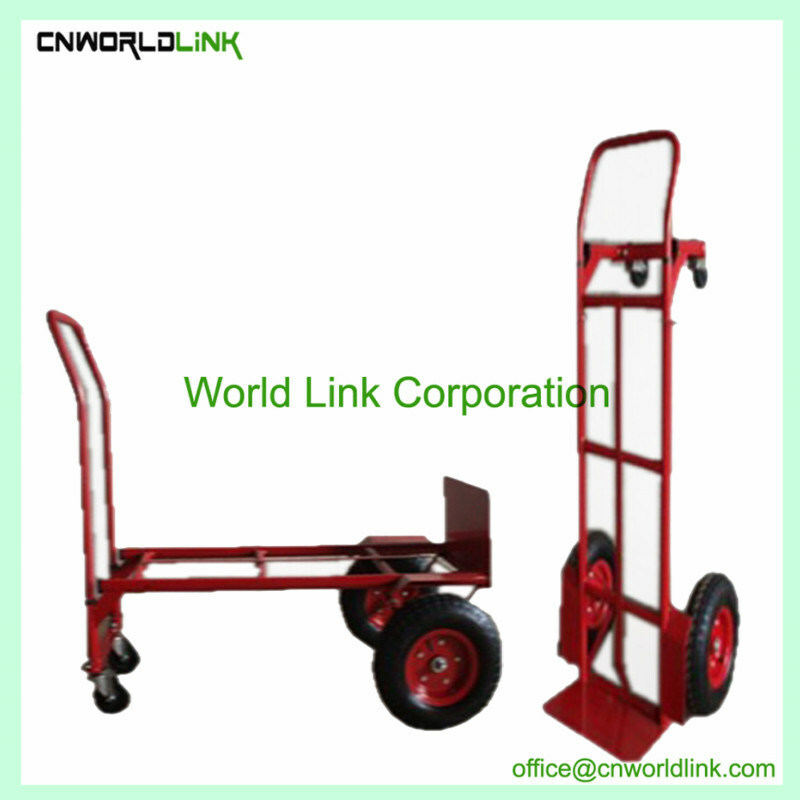 World Link Corporation has specialized in warehouse steel transport cart, cleaning cart, and hand wagon, trash bag cart, sweeper manufactureÂ for 24 years. And our Foldable Hand Trolley Warehouse Steel Transport Cart is very popular in the overseas market.Â Our brand nameÂ "WORLD LINK"Â has been distributed to U.S.A, Europe, Japan, and markets all over the world. Â We have enjoyed high reputation for the excellent quality and very competitive prices.Â We do hope to find a way to cooperate with you. 1. We own the best after-sale service. If there any problems happen, our team will do our best to solve for customers. 2. Any inquiry will be replied within 24 hours. 3. We have our own Design Engineer TeamÂ and professional manufacturing facilities so that we can do OEM for every customer according to drawing. 4. All products are made according to ISO and MSDS and before shipment, 100% inspection is guaranteed. 5. We have the most serious quality testing so you can set your mind at rest to use our products. 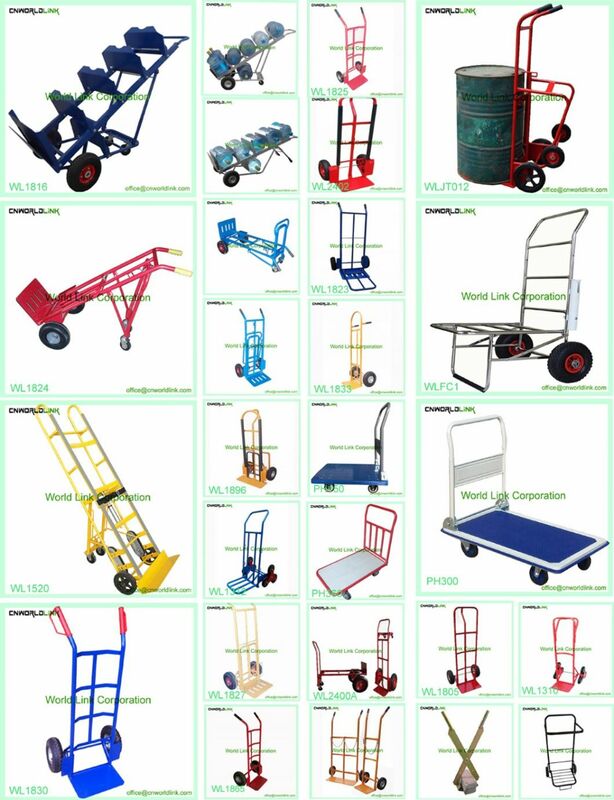 A1: Our company is specializing in plastic products and steel products, including hand cart, hand trolley, wagon etc... And we have rich experience to do OEM for customers. A2: Our wagon MOQ is 100pcs per color. If we have production current, we could insert small quantity order into our bulk production. A3: FOB, CNF, CIF and DDU are available. Customer could choose it. Q4: Do you have logo service? A4: We could do customer logo on the water trolley cart, then it will with your brand. A5: After price confirmation, you could require sample to test quality.